This is a Sponsored post written by me on behalf of ZzzQuil for SocialSpark. 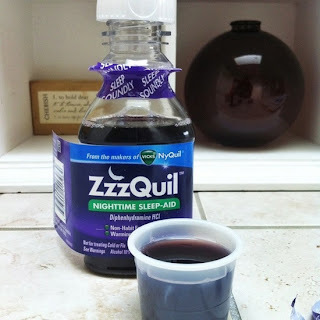 of the liquid version of ZzzQuil. the pill version of ZzzQuil. in the scary "pill for everything" aisle at the grocery store. That was when I first stumbled on ZzzQuil. it took everything in me to get one of those pills down. but because me and pills are bad. I just psyche myself out and I can't get them down my throat. 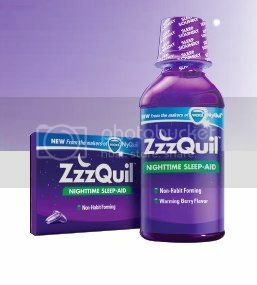 So here comes liquid ZzzQuil to the rescue! What I love about ZzzQuil is that it works. Fast. has something to do with that. so you'll have to look that up. and in pill form for him (LiquiCap® to be specific). that it is non-habit forming. Heck, even 12 year olds can use it. that it would do the deed on my 6'6 better half. Which of course made me less skeptical about it working on me. There are about a million and one other things I loved as well. when you are sleep deprived. The packaging was SUPER easy to hack into. which is a good thing for me in my no-kid house. are not responsible enough to keep chewy iron filled candy looking meds away from their kids. And a lot more ready for hot yoga. and tweet about your #ZzzQuilNight once you wake well rested. or videos to give your posts more, "pop"! Your content is excellent but with images and videos, this website could definitely be one of the best in its field. over your web page for a seсond timе. up for the great information you've got right here on this post. I am coming back to your web site for more soon.